It looks like Sprint will be launching a new color option of the Samsung Galaxy S3 smartphone, as a photo has been posted online of a purple Samsung Galaxy S3 handset with Sprint branding, which you can see below. 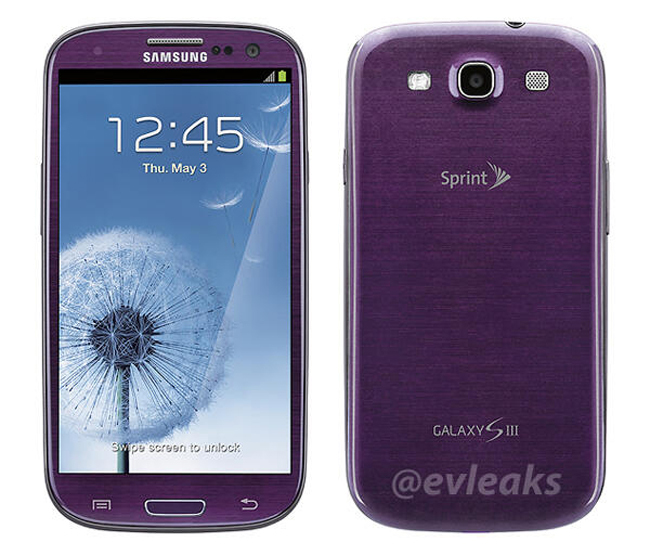 According to @evleaks the purple Samsung Galaxy S3 will be launching on Sprint around the middle of April, although no details were given on an exact launch date for the device, and there is no official announcement from Sprint. As soon as we get some more information on when the purple Samsung galaxy S3 will be launched on Sprint we will let you guys know.